Departing our office in the French Quarter, our first destination is the Marigny and Bywater neighborhoods where we'll explore New Orleans’ first suburb (Faubourg) and home to the largest collection of 19th Century homes in America, bohemian hangouts and a general laid back vibe before navigating our way back to Esplanade Avenue for the second leg of the excursion. On to Esplanade Avenue we cruise, home to the old Creole gentry of New Orleans. The “Avenue of The Creoles” as it’s called - boasts many 19th Century mansions and is lined with centuries old Oak trees - it is a true New Orleans treasure. We’ll then visit Saint Louis Cemetery #3, one of the city’s most famous cemeteries where we'll see above ground crypts and explain to you why in New Orleans they are that way. 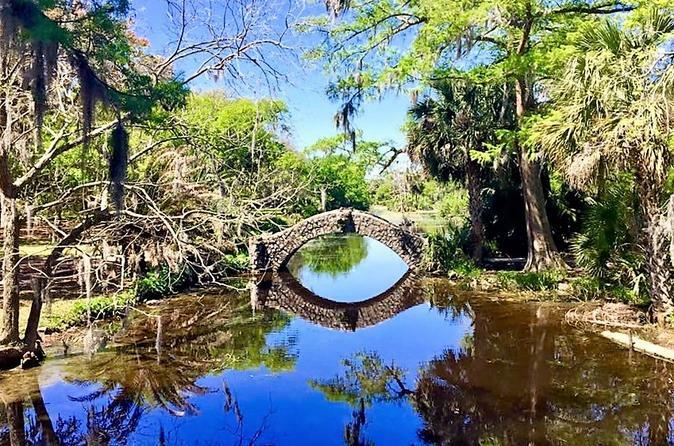 Emerging from the cemetery, our bike tour passes over Bayou St. John and into City Park where lives the largest grove of mature Oak trees in the world! You’ll hear the history of the old dueling grounds, whereby bullet and blade, many proud and charismatic New Orleanians met their demise. After showing you a few other whimsical attractions beneath the shaded canopy, we’ll take a break to enjoy French beignets and café au lait at Morning Call Café. On our way back to the French Quarter, you’ll find yourselves touring the famous neighborhood - Treme' - a place that music is always playing and good food is always cooking! Finally, you’ll see the real “birthplace of Jazz”, and where the infamous New Orleans red light district - Storyville - once stood. A few blocks away we apply the brakes and bring the bikes to home base - our office in the French Quarter, where restrooms and cold drinks await. All of our tours are free flowing & laid back; no two tours are exactly the same. If there is something special along the way that your group would like to see, we’ll happily take you there. "Creole & Crescent" space is limited to 10 people per tour twice a day. So, Book Now and let's go for a ride. $50 General ticket includes bike, helmet, basket, and cold bottled water.